AN AGE-GAP couple, separated by 45 years, have revealed how they discovered a connection between them that extended far beyond their four-year relationship. 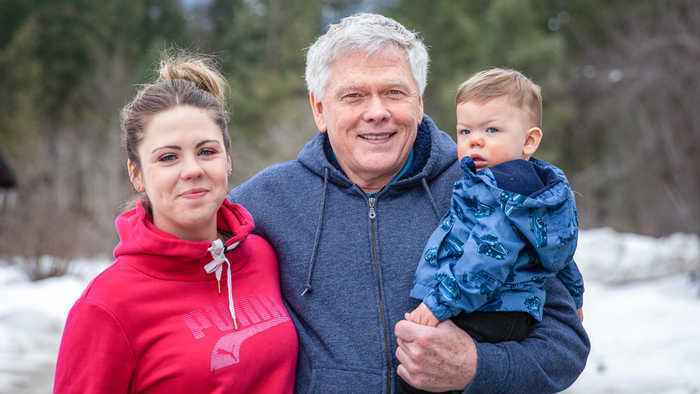 Stefani, 24, and Don Walper, 69, of Armstrong, British Columbia, are now married with a one-year-old son, but they were shocked to learn they shared a big part of their lives years before meeting. Stefani explained to Barcroft TV: “We had been together two or three months and we were laying in bed one day talking and I was like ‘you should tell me a secret, tell me something nobody knows.’” Don began to tell Stefani about his previous marriage of five years and how he had a son with his ex-wife. “So Don tells me this story,” Stefani continued. “And I was like ‘wait what’s your son’s name?’ And Don repeats it. A MARRIED couple with a 32 age gap say that their difference in age is no issue. Tom Crutchfield is 70 years old and has been with his 37-year-old beloved, Stacey, for almost four years. The couple got..